NYIBC is a three-week artistic education, professional training and performance program for forty-eight talented young dancers from countries around the world— all of whom receive full scholarships to participate. NYIBC nurtures promising dancers providing them with an unparalleled career advancement opportunity and enabling them to completely focus on training to perform at their highest artistic level. The repertory performed by NYIBC participants is announced upon the arrival of the dancers in New York. Unlike any other international ballet competition, the classical pas de deux and the modern/contemporary duet are the core of the repertory that NYIBC participants learn and perform. The repertory is taught by world-renowned coaches, masters of their profession. In teaching the repertory, they pass their artistry to the younger artist; they pass on their secrets of the art of partnering. The opportunity to learn such outstanding repertory from such extraordinary artists provides the dancers with professional training and artistic education they could not receive elsewhere. 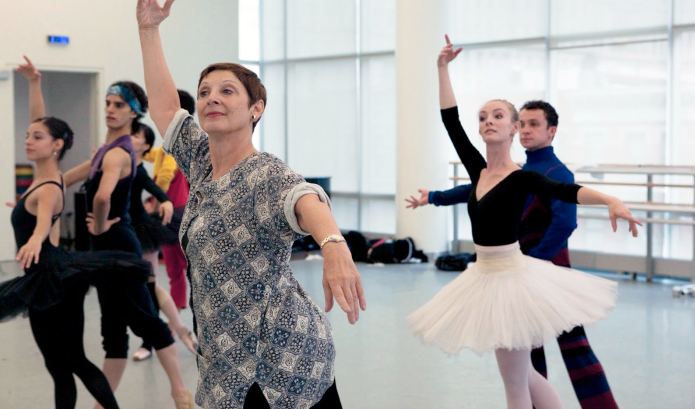 NYIBC’s unique format in the ballet world provides its participants with a fair level playing field, and distinguishes it from all other ballet competitions.